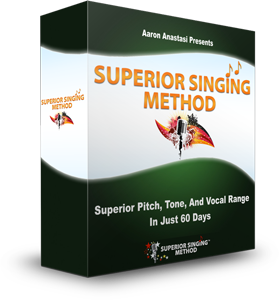 “How can I develop a vibrato singing voice?” This is a question often asked by aspiring singers. But firstly, what is actually singing in vibrato? A vibrato is a slight variation of pitch tone caused by the free oscillation of the vocal foldss from an open pharynx (open throat) along with the healthy closure of the vocal cords with the use of good singing muscle support system. However, there are many singers singing with wrong vibratos resulting in awful pitching and tones. This are usually the results of the oscillations being too slow, which is called a wobble and when it is too fast, called a tremolo. We often hear singers who have a wide and slow vibrato which is actually a wobble. This phenomenon is usually caused by a lack of correct resistance of the breath pressure or a lack of focus in the singing tone. A wobble can also be caused by a lack of proper adduction of the vocal folds. On the other hand, some singers developed an overly fast vibrato that sound just as awful as the wobble. This overly fast vibrato is called a tremolo and neither the wobble nor the tremolo is the desired vocal tone for good singing. A tremolo can be caused by a pressure built up at the root of the tongue. This pressure can have its origin at inhalation or onset of sound production. It can also be the result of a lack of vocal cord approximation. Many singers do not know that the vocal folds must close after inhalation. This lack of proper adduction of the cords can result in a faster vibrato speed and therefore, the creation of a tremolo. The improper use of the singing muscle support system is another cause for producing a tremolo voice. A good vibrato is when the singing voice is vibrating at an even rate. An uneven vibrato may be the result of sudden changes in the sub-glottis breath pressure. These sudden changes in the air pressure is result of even “body resistance” from the singing support system. The vocal cords then begin to separate and vibrate unhealthily. Most singers started off having a straight singing tone (no vibrato) before developing the vibrato through good vocal exercises. Some straight tone singers have even sung in choirs where their choir masters insisted that they sing in a straight tone. Singing this way can be damaging to the singing voice as it put too much stress on the vocal cords and nodules can develop from singing in a straight tone over a period of time. Good choral vocal blend can be developed through vowel and acoustical alignment but not squeezing the singing voice into straight tone. Most straight tone singers have problems with vocal cord closure because too much pressure has been held at the vocal folds over a period of time. A good vibrato gets woven into the voice when the singer achieves proper balance in the support muscles and when the feeling of the “oo” vowel is sustained in the pharynx. The feeling of the “oo” vowel allows a healthy adduction of the vocal cords without too much pressure at the glottis. A diaphragmatic vibrato is the when the diaphragm pulsates during a sustained tone to create a false vibrato. Many theatre singers develop this bad vocal habit so as to have some sort of vibrato when no vibrato is actually present. A diaphragmatic vibrato is difficult to reverse because the abdominal muscles memorize the pulsating sensation and develop a muscle memory. However, it can be corrected through time with proper vocal exercises. A healthy vibrato can be developed in a rather short period of time with the right vocal exercises. How long does it take for a singer to develop a good and healthy vibrato voice is usually dependent on the singer’s mind/body coordination. 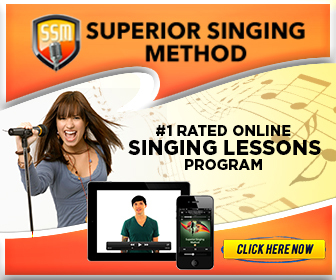 So if you want to develop a good vibrato singing voice, then go look for a good singing teacher or get the right vocal exercises and start practicing.